Gibbon compliments these sets with the developed TreePro tree protection. All TreePro Edition therefore not only fulfill the requirements of the German industry norms (TUV/DIN), but also coincide with the high quality standards of Gibbon. 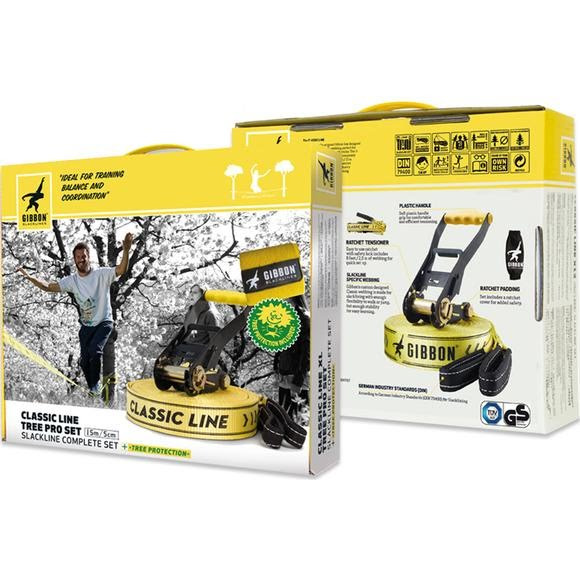 They are probably the first sets on the market that offer everything needed for experiencing slacklining in a safe and easy way.